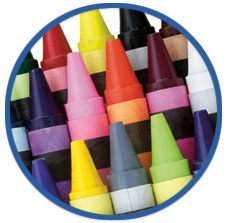 Remember the joy you had – perhaps still have – when you opened a fresh box of crayons or colored pencils? The scent, the mere act of checking out all the colors that were available, immediately filled you with anticipation and satisfaction. In reality, these beneficial effects don’t go away once you grow up. The current “adult” coloring book craze is a testimony to our innate desires to find our calm center by filling in empty designs in coloring books. Coloring can also be very beneficial for people with early- to mid-stages of Alzheimer’s and dementia, as it is an engrossing activity that anyone can do. Coloring can be a useful activity to help ease agitation or aggression, as it is very distracting and calming. Some experts have likened the effect of coloring to the results of meditation. Like meditation, coloring lets you switch off your brain from other thoughts – which for someone with a lot of mental chatter can be very satisfying – and focus on the moment. Everybody has what it takes to be creative, especially if the design or picture already exists. Some people may be hesitant to participate at first, believing they can’t do it. But once they begin the creative process of coloring between the lines, a contemplative state of mind takes over. Allowed to express themselves with color, seniors often find a sense of self worth and accomplishment. 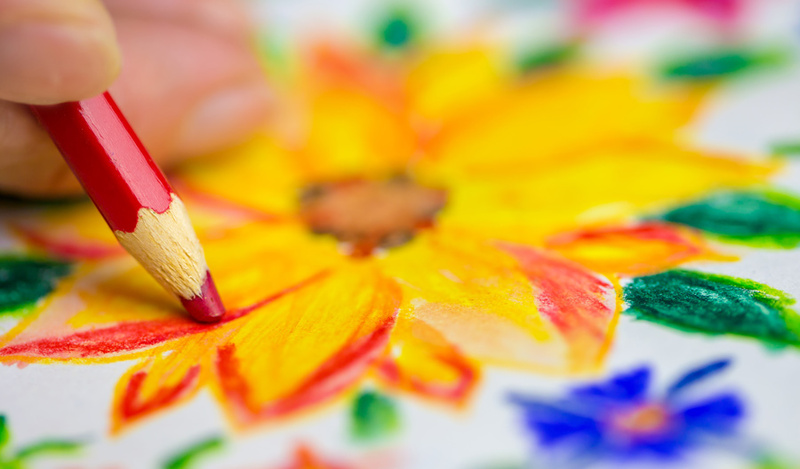 When shopping for a coloring book for a senior, consider his or her limitations and needs. Simple designs are best for those with sight or dexterity problems. Connect the picture to their experiences. 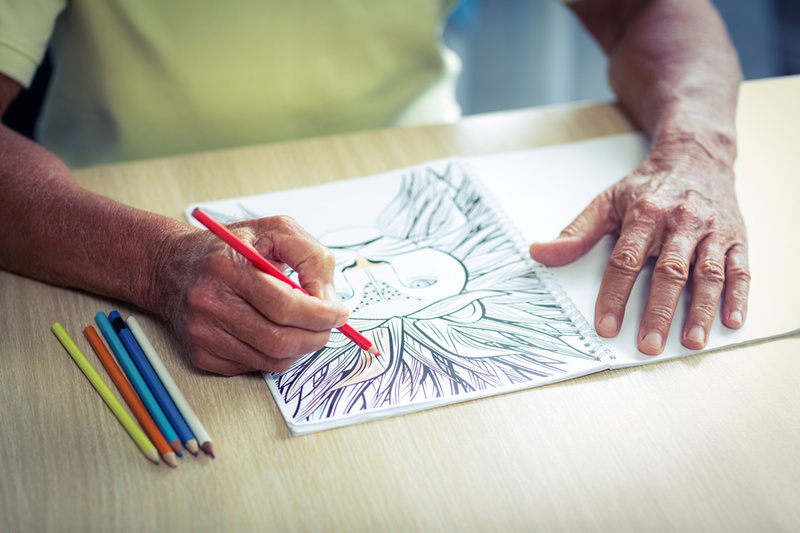 Dementia and Alzheimer sufferers may prefer a coloring book of everyday activities or ones that depict historical events that can lead to storytelling or remembrances of things they’ve done or known about. Keep the design on the simple side. Seniors also may not feel comfortable with designs that are too busy. Look for images that have a lot of designs to color, but are not overly mesmerizing. Coloring books that lay flat, or a page that is removed from the book are best for seniors who’ll need assistance, and professionally printed pages rather than those printed at home will be more rewarding and less frustrating. Printing pages at home with an inkjet printer can produce pages that smear and bleed when colored. Match the medium to the senior. Purchase colored pencils, gel pens, or markers that are appropriate for the senior’s dexterity and abilities. A set of fine point pens can be frustrating as would a set of fat markers that won’t fit into the coloring lines. Soft watercolor pencils with a sharpener may be the easiest option. Provide pencil grips if necessary – they’re inexpensive and can be moved from pencil to pencil. Coloring activities are fun for all ages and states of mind. Let the creativity flow — encourage their work and applaud their final product. It’s a win-win situation for everybody! Next Post Custom Kits Created By You!